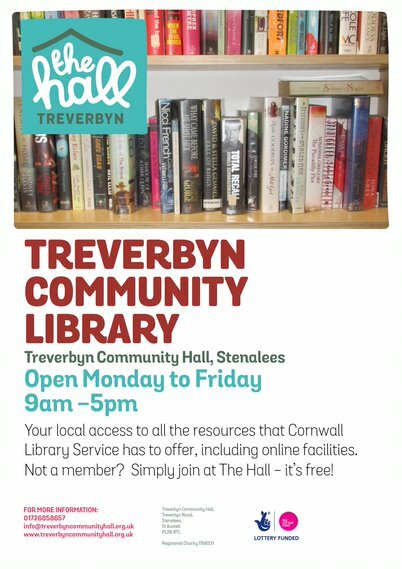 Treverbyn’s Community Library is open every weekday from 9am – 5pm. Come to browse or borrow from our selection of books or return or reserve any other books from the Cornwall Library Catalogue. We have a great selection from children’s books to crime fiction or reference books to large print. No computer? No problem! We can show you how to reserve or renew books using our community computer. We also have a great range of 2nd hand books on sale with genres to suit all tastes and abilities! How about visiting our wonderful Community Cafe whilst you’re here and enjoy your book with a great slice of cake.